After the lesson at the fighting stage, his glorious image must have been carved deeply within numerous students. Of course, the more perfect a person, the more people would envy him. Just as soon as the compet.i.tion ended, many insults of all kinds emerged. "A bunch of mediocre students… No matter how hard they work, they will never amount to much." "Talent decides everything… A pheasant cannot become a phoenix". Today's lesson was very beneficial for the thirteen students. They felt as if they had found the very teacher for their lives, a teacher that understood them. After the compet.i.tion had ended, Lin Fan gave his students the half day off, telling them to do what they wanted. When Lin Fan was in the Saint Devil sect, he regretted not going to the hidden library to pick out some martial skills. Since he had come to the Sky Heaven School, if he continued to neglect the martial skills, he would really just be asking to be struck down by the heavens. As for the level of martial skills, Lin Fan didn't bother with that. He was fine as long as it was a martial skill since he could level them up endlessly. Even unconventional skills like "Monkey Steals Peach" could be raised to G.o.d-like damaging levels. Thus, there were no skills that were beneath him. The Sky Heaven School was founded by powerful people and supported by the Imperial family. Although the martial skills they had in their library couldn't be compared to the Saint Devil sect, they still couldn't be underestimated. When Lin Fan signed in and entered the library, he saw numerous students inside selecting martial skills, making him lament for a while. The library was huge. Rows and rows of shelves contained numerous different kinds of manuals, but some shelves were also really empty. It seemed martial skills were indeed quite scarce. Lin Fan's finger brushed a manual, checking to see if anything fit him. Lin Fan checked through all of them and felt exasperated towards the Sky Heaven School. They were all unconventional martial skills, how could they be used to teach good students? What a disappointment! At that moment, Lin Fan found a low-rank light cla.s.s martial skill and was overjoyed. This was a good start. A low-rank light cla.s.s martial skill wasn't very good, but among the other terrible selections, to even be able to find one low-rank light cla.s.s martial skill was already pretty decent. "Hidden Arts"? The name seemed to have potential. Lin Fan took out the "Hidden Arts"and carefully inspected it. The cover was a bit worn out and appeared to be quite old. Lin Fan opened to the first page and read it carefully. This was a martial skill theorized by a past teacher of the Sky Heaven School, but no one had been able to cultivate it. So the sole cultivator was the teacher who had theorized it. Lin Fan glanced through it and then understood. The theory was derived from the teacher's encounter with a monster that was capable of camouflaging itself under any environment; the theory was to disappear right before someone's eyes. But the teacher had split "Hidden Arts" into three levels, each level more strange than the previous. Upon reaching the third level, one could circulate their inner true energy and change according to the surrounding colors. But when Lin Fan read the rest, he became speechless. This teacher had been hacked to death. It turned out that the teacher had been fighting an enemy and had tried to stealth attack by using "Hidden Arts" to camouflage himself. He had thought the enemy couldn't see him, but it turned out that the enemy was pretending that he couldn't see him, and had purposely let him draw near before cutting the teacher down. After the enemy had cut the teacher down, he left a few words before leaving, "You think I am blind?" Thus the teacher before his death had used his blood to write a message to warn future cultivators of "Hidden Arts" to be cautious when cultivating it. "Isn't this just transforming yourself into a chameleon? 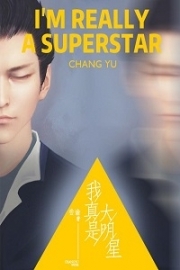 "Lin Fan cackled, feeling the teacher's idea wasn't bad, but it was a bit stupid. Even if a chameleon changed colors, as long as one wasn't blind, they could still see it. But the martial skill was still not bad, so Lin Fan was a bit interested. The martial skill only had three levels, but under his endless leveling, he could raise it to a crazy level. 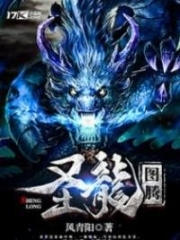 Then, Lin Fan continued his search through the first floor of the library, but all the martial skills here were either unconventional or light cla.s.s. Some had a little practical value, and Lin Fan always adhered to one idea, which was quality over quant.i.ty when it came to martial skills. He still hadn't raised Wind Chasing Sword Skill, Deflowering Finger, Immovable Imperial Fist, Psychedelic Body, and Black Tiger Steals Heart to their max levels. So if he also learned a bunch of unconventional skills along with them, he would never progress much. Lin Fan then saw someone descend from a staircase, his heart leaping with joy. So there were more books upstairs for him to check out. But when he tried to go upstairs, a white-bearded old man stopped him. "You may not go upstairs." The white-bearded old man said while squinting. "Why? They can go upstairs, why can't I also go up? "Lin Fan was disgruntled, wasn't this discrimination? "Only B cla.s.s and above can enter. You don't have the privilege." The white-bearded old man said. Lin Fan looked towards the crotch of the white-bearded old man, thinking about stealing his next eighteen generations. 'I will make you cry later.' Then Lin Fan left, preparing to head back and a.n.a.lyze"Hidden Arts". After returning, Lin Fan closed the door and began cultivating "Hidden Arts". This martial skill was different from other martial skills and needed to be raised by himself. As Lin Fan cultivated "Hidden Arts", his true energy slowly began decreasing. Lin Fan smiled, he didn't think he would instantly level up as soon as he started cultivating. It was easy as expected. Lin Fan also felt a gradual change, the true energy inside his body was imitating the surroundings. It seemed the martial skill really changed oneself into a chameleon. But no matter how one changed, as long as the other person wasn't blind, they would still be able to see a human figure in front of them, just a bit blended in with the surroundings. Lin Fan then began mult.i.tasking, cultivating "Hidden Arts" on one side while cultivating the upper mental cultivation technique "Faceless Sky Devil"he had stolen from Mo Yi Xuan. The two heaven cla.s.s mental cultivation techniques troubled Lin Fan because the experience gained for them was far too small, almost to the point where it made one despair. Who knew how long it would take before he could level those two techniques up. Although both techniques were currently still on the first level and only required 100,000 experience, increasing it by just ten experience each time was essentially a crime. Also, cultivating them depleted a lot of true energy, so it required him to stop every now and then to recover his true energy before he could continue his cultivation. You're Read The Strongest System Chapter 52 online at NovelOnlineFull.com. You can use the follow function to bookmark your favorite novel ( Only for registered users ). If you find any errors ( can't read,broken links, can't load photos, etc.. ), Please let us know so we can fix it as soon as possible. And when you start a conversation or debate about a certain topic with other people, please do not offend them just because you don't like their opinions. You're reading The Strongest System. This manga has been translated by Updating. Author(s): Xinfeng,新丰. Already has 6812 views. Current Time is 19-Apr-2019 20:19:03 PM.